Are you storing water for human consumption? Perhaps at a concert, festival, sporting event or construction site. Or maybe you’re doing some road works or need to control or suppress dust? Whether you’re storing potable water for drinking water stations, water for toilet facilities, Water Force WA can supply a wide range of water storage tanks that can hold up to 10,000 litres of water for all sorts of temporary situations for any industry. Whatever your storage tank hire needs, we have water tanks suitable to quickly meet your immediate short-term water requirement. Each water tank can be supplied with a water pump to get the water to where you need it. If it’s an emergency, Water Force WA can also provide a rapid response. You could have thousands of litres of emergency water supply delivered for any situation to guarantee availability of clean drinking water as soon as possible. 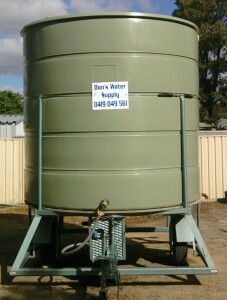 Need a quick quote for water tank or emergency water supply? 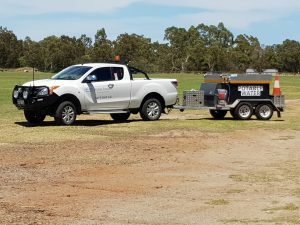 Call Water Force WA on 0419 049 561 or 9525 3374 or contact us today about your specific needs for onsite water supply.